SAN FRANCISCO, Calif. /California Newswire/ — Business leaders are too often faced with spiraling health costs that take a financial toll on their organization. However, these costs can be confronted through health and wellness programs that not only promote a healthier workplace, but also increase productivity. EPIC Insurance Brokers and Consultants, a retail property and casualty insurance brokerage and employee benefits consultant, today announced its Way2Wellness webinar on Health and Productivity Management (HPM) on March 15, 2016 from 10 to 11 a.m. PDT. HPM expert Dr. David Chenoweth, a wellness consultant with more than 35 years of worksite wellness, data analysis and program evaluation experience, will discuss HPM best practices for small, medium and large companies, as well as a number of successful industry tools he has developed and implemented. "When best practices are adopted in a strategic manner, it drives programs, policies and incentives that will enhance the overall health and productivity of employees resulting in a much healthier workforce that allows an organization to have a competitive edge," said Dr. Chenoweth. "Human Capital is the best asset any organization has, and a successful company is going to nurture human capital and take it to the next level." To register for the webinar, click here – https://attendee.gotowebinar.com/register/4656131949294965250 . David has over 35 years of worksite wellness, data analysis, and program evaluation experience. During that time, he has performed numerous risk factor cost, break-even analysis, and benefit-cost/ROI analyses in the United States and Europe – as well as risk factor economic cost appraisals for nine states. He developed the popular Proportionate Risk Factor Cost Appraisal(TM) as well as the online Physical Inactivity Cost Calculator sponsored by The Robert Wood Johnson Foundation and co-developed the online County Health Tool for the Institute of Emerging Issues at North Carolina State University. Most recently, he developed the industry's premier online, interactive tool – Corpwell Rx(R) – for worksite wellness program directors, vendors, and consultants. He has written two Effective Practice Guideline (EPG) reports on worksite wellness for the Society for Human Resource Management (SHRM) Foundation – as well as five books on worksite wellness including the popular 3rd edition of the best selling Worksite Health Promotion and the industry's only book on worksite wellness program evaluation, Evaluating Worksite Health Promotion. He has keynoted at a worksite health promotion forum in Czechoslovakia and at the Caribbean Health Ministry in Jamaica. He is a Fellow of the International Association for Worksite Health Promotion. He developed and directed the undergraduate worksite health promotion academic program at East Carolina for 31 years and retired as Professor Emeritus in 2010. Since then, he continues an active consulting and speaking career. His graduate degrees are in Physiology & Health Science (Ball State University) and Health Education (The Ohio State University). As a Wellness Consultant, Craig works with a team of other like-minded wellness professionals to create a healthier working environment for the members and clients EPIC serves. He has a strong background in Health Education and Health Promotion. Craig strives to not only help our client members that have partnered with EPIC but he also works to be an example in his own daily life, with his co-workers and regular interactions with people. Prior to joining the EPIC team, Craig worked in many roles within the worksite wellness field to help strengthen him for the position he current holds. He has been a health coach working with individuals 1-on-1, a Program Coordinator for a wellness service provider, and a Health Educator within a carrier disease management platform. Most recently, Craig took on an integral role in an innovative approach to combine workplace initiatives in wellness with carrier services to improve health care consumerism as a Wellness Liaison with WellPoint Inc. Craig was positioned on-site at Google Inc. to work directly with their Human Resources department and with their employees having daily in person interactions whenever needed. Craig's endeavors in his own health and wellness help strengthen his passion to be a leader in the field of wellness and health management and become a valued asset at EPIC as we continue to grow our presence as a worksite wellness innovator. Ayana is a dedicated health and wellness professional with over 10 years of proven success in designing, implementing and managing wellness programs of all sizes. Ayana is a subject matter expert and is a contributor, public speaker and author on a variety of fitness, disease prevention and heath awareness topics. Topics include stress management, chronic disease management, and weight management. Ayana advises large and small organizations on wellness program management specific to clients' needs. She provides guidance with regard to best practices for program design, implementation and evaluation. She also serves as a liaison between third-party wellness vendor and clients, and as a health and wellness resource. Ayana holds a Master of Science in Sports Administration from Georgia State University in Atlanta, GA; a Master of Science in Clinical Epidemiology & Health Service Research from Wake Forest University in Winston-Salem, NC; as well as a Bachelor of Arts in Psychology from North Carolina A&T State University in Greensboro, NC. Ayana enjoys health and wellness program design, fitness management, running and golfing. 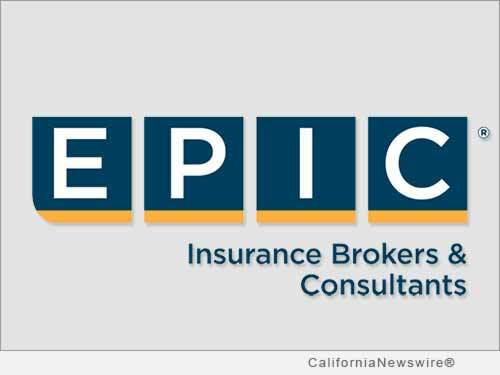 With more than $200 million in revenues, EPIC ranks among the top 20 retail insurance brokers in the United States. Backed by the Carlyle Group, the company continues to expand organically and through strategic acquisitions across the country. For additional information, please visit http://www.epicbrokers.com/ .